Summa subsidiary’s $260 mln claim against Magomedov brothers set for March 25 | Russian Legal Information Agency (RAPSI). MOSCOW, February 8 (RAPSI) - The Moscow Commercial Court has set March 25 as a date for hearing a claim filed by a temporary manager of Summa Group’s subsidiary GlobalElectroService seeking to recover 17.1 billion rubles (about $260 million) from the Group owner Ziyavudin Magomedov, his brother Magomed and 14 other defendants, according to court records. In January, the claim was put on hold until March 10. In November, the application was also left without action because of its incorrect execution. In November, their detention was extended until February. At the same time, it was discovered that Ziyavudin Magomedov and his brother had been additionally charged with stealing 300 million rubles ($4.6 million) during the construction of a highway in South Siberia in September 2014. 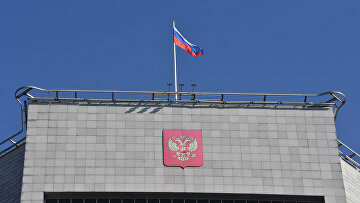 10:35 08/02/2019 The Moscow Commercial Court has set March 25 as a date for hearing a claim filed by a temporary manager of Summa Group’s subsidiary GlobalElectroService seeking to recover 17.1 billion rubles (about $260 million) from the Group owner Ziyavudin Magomedov, his brother Magomed and 14 other defendants.